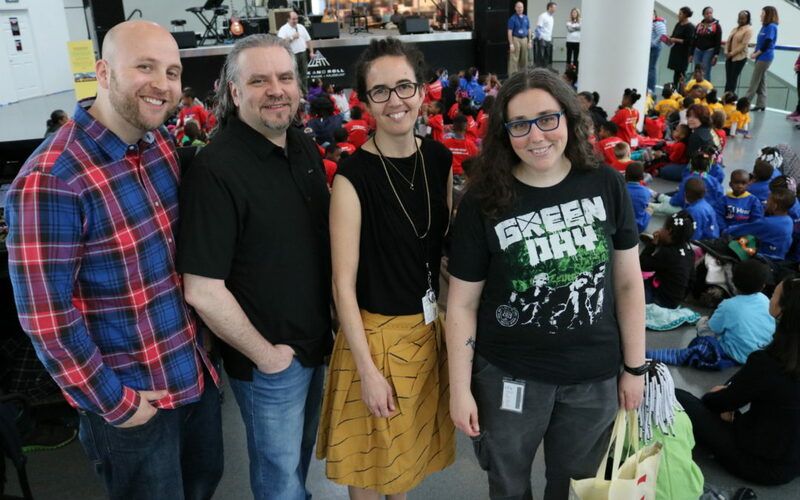 The Rock and Roll Hall of Fame and Museum’s education team performed on the Rock Hall’s Main Stage for the annual Toddler Rock finale for dozens of enthusiastic Head Start three-to-five year olds from the Council for Economic Opportunities. After 30 weeks of music therapy lessons, the toddlers and their music therapists twisted, shouted and danced around to celebrate a fabulous year of learning and fun. A big thanks to everyone involved in the program: The Rock and Roll Hall of Fame and Museum, University Hospitals, the Beck Center for the Arts and PNC Bank. You all rock!